Dr. Chase was born in Cayuga County, New York in 1817 and moved to Buffalo at the age of 11 where he excelled in his studies. At an early age he knew that he would devote his life to medicine. Dr. Chase settled in Ann Arbor, MI in 1856 where he pursued his life work and wrote his best-selling books Dr. Chase's Combination Receipt Book and his lengthy work which combined this book with The Original, Genuine, Last and Complete Collection of Medical and Cooking Receipts and the Very Choicest Miscellaneous Receipts of the World Renowned Dr. A.W. Chase. Dr. Chase was so well-liked by fellow citizens of Ann Arbor that he was asked to run for mayor but declined. A building was built in 1868 at the corner of Main Street and Miller Avenue there which bore his name (we do not know if this building is still in existence in 2008). Dr. Chase's Combination Receipt Book was published in 1915. Dr. Chase had passed away some years before. It serves as a main reference for the recipes and natural home remedies listed in this website. 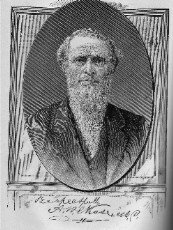 Much of Dr. Chase's information was also published in The Favorite Medical Receipt Book compiled by Josephus Goodenough, below. 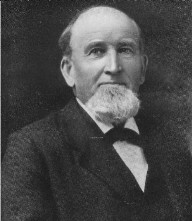 Dr. Joseph C. Gunn, author of Dr. Gunn's Household Physician, was originally published in 1857 and republished many times into the early 20th century due to its popularity. The first edition of the book was "entered according to an Act of Congress, in the year 1857, by Moore, Wilstach, Keys & Co., and John C. Gunn, M.D., in the Clerk's Office of the District Court of the United States for the Southern District of Ohio." Dr. Gunn also wrote Gunn's Domestic Medicine before he compiled the massive reference work Dr. Gunn's Household Physician. He was a strong believer in using natural remedies for healing: "health is to be restored by assisting nature, instead of retarding her operations .... Instead of using medicines daily, which destroy the constitution and leave the whole body worn out ... be your own guide, only be guided by reason and common sense. Thousands die annually, from a wild and infatuated course of swallowing patent medicines daily, without reflecting that they are taking poison ....two-thirds of the diseases to which the human family are subject, can be removed by simple remedies and proper training; in other words, a correct course of exercise, diet, temperance and change of climate ...."
Right: Dr. Josephus Goodenough, editor/publisher of The Favorite Medical Receipt and Home Doctor Book in which many of Dr. Alvin Chase's recipes and natural home remedies are reprinted. This book was published in 1910 by the F.B. Dickerson Co. of Detroit, Michigan. Guide to Therapeutics and Materia Medica, by Robert Farquharson, M.D. Edin., F.R.C.P. Lond., lecturer on materia medica at St. Mary's Hospital Medical School. Philadelphia: Henry C. Lea's Son & Co., 1882. This work served as a valuable source for the Remedies page. Unusual Healing Techniques, published in 1960, was written by Leslie O. Korth, British Doctor of Osteopathy. Extracts from this reference appear in this website.